instant dosa recipe with left over rice | instant cooked rice dosa recipe with detailed photo and video recipe. basically a quick dosa recipe with the leftover rice and wheat flour or atta. 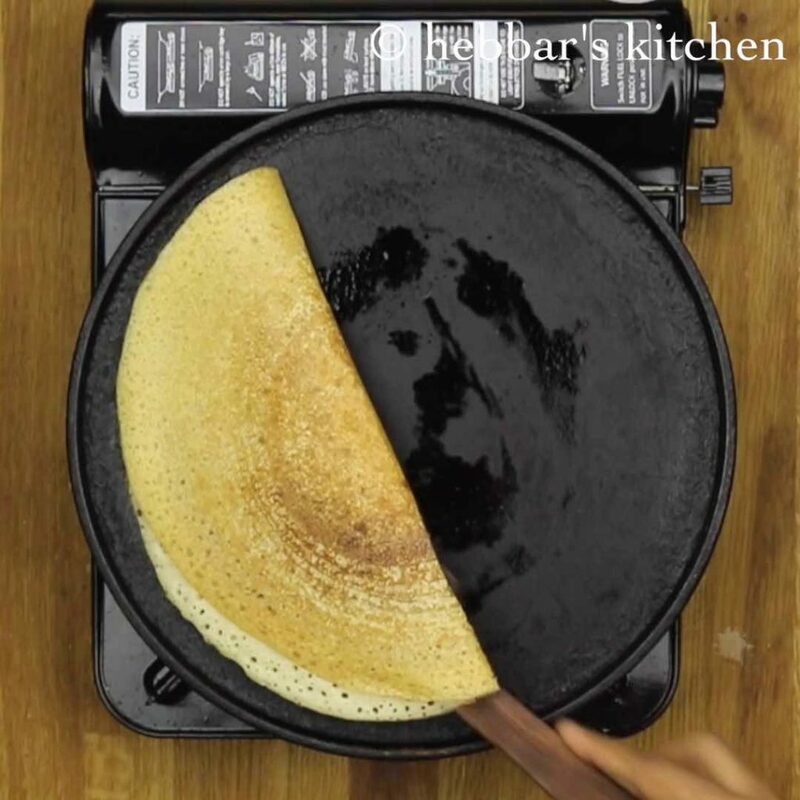 this dosa is ideal for weekend morning breakfast. instant dosa recipe with left over rice | instant cooked rice dosa recipe with step by step photo and video recipe. 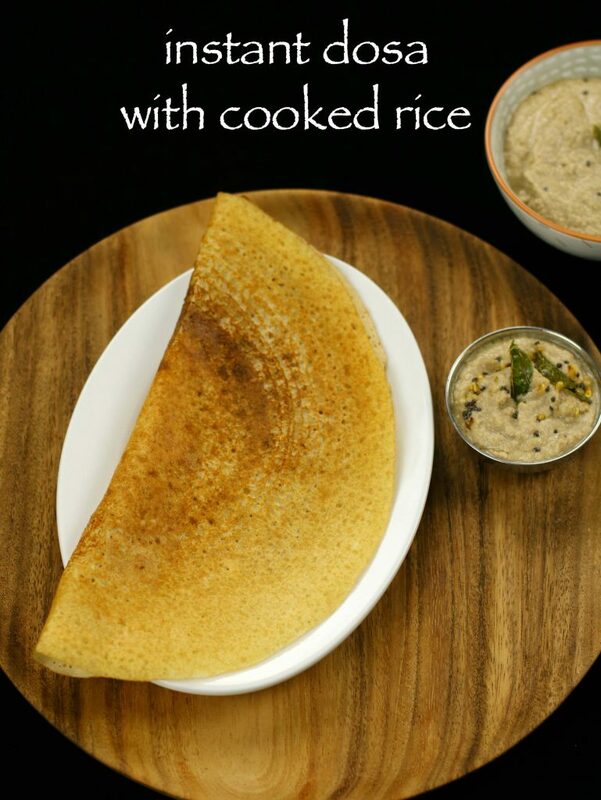 this dosa recipe is an easy alternative with your left over rice for those busy mornings. there are many instant dosa, but they are not anywhere near to traditional dosas of south india. 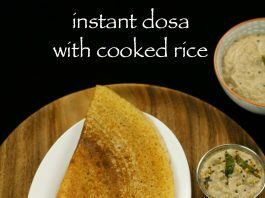 however, this instant dosa recipe with cooked rice is amazing alternative and can be prepared in jiffy. my husband had requested to prepare plain dosa for today’s morning breakfast, but unfortunately i had forgotten to soak rice and urad dal for grinding. also, i had 2 bowls of left over rice from yesterday’s dinner. so immediately i got an idea to prepare the instant dosa from cooked rice. my husband was so surprised with the idea. i have shared idli with cooked rice. in this recipe i have added wheat flour for the consistency of dosa batter. alternatively, you can add maida/plain flour to make it more crispy and white in color. i developed this recipe from my previous post of instant bread masala dosa. i like to customise and prepare variety of dosa recipes, so that it does not become monotonous in our daily breakfast. 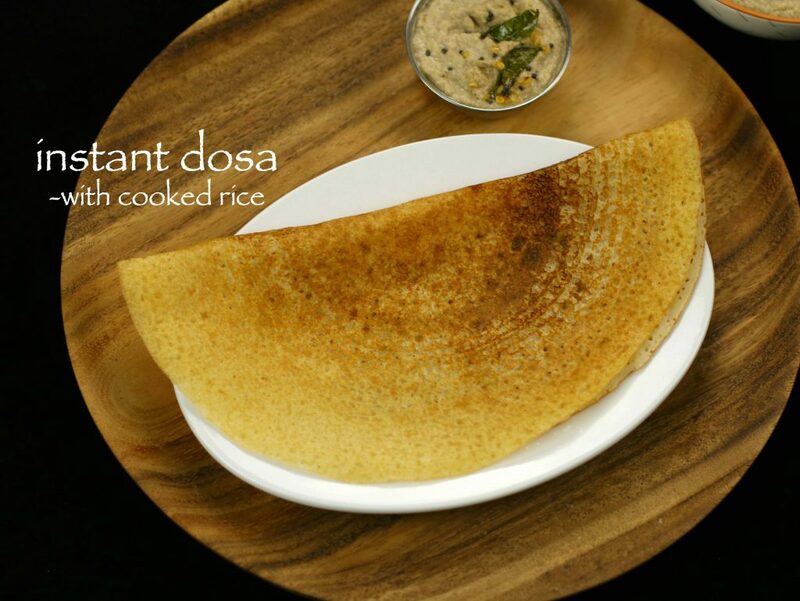 certainly this instant dosa from left over rice will be your handy option. this can also be prepared with boiled rice or even basmati rice. however, i have used cooked sona masuri rice as we use it for our daily purpose. serve this instant dosa with choice of your chutney recipe, but i personally liked it with coconut chutney or peanut chutney. also i have posted several dosa collections. check out my instant rava uttappa recipe, oats dosa rava dosa, mysore masala. you can serve these dosas, with either chutney collections or sambar collections. also check out my other instant recipes. in a blender take 1 cup of cooked rice, ½ cup wheat flour and 1 cup rice flour. add ½ - to 1 cup of water to blend smooth. add more water in batches if required and blend to smooth paste. i have used 1½ cup of water in total to blend smooth. 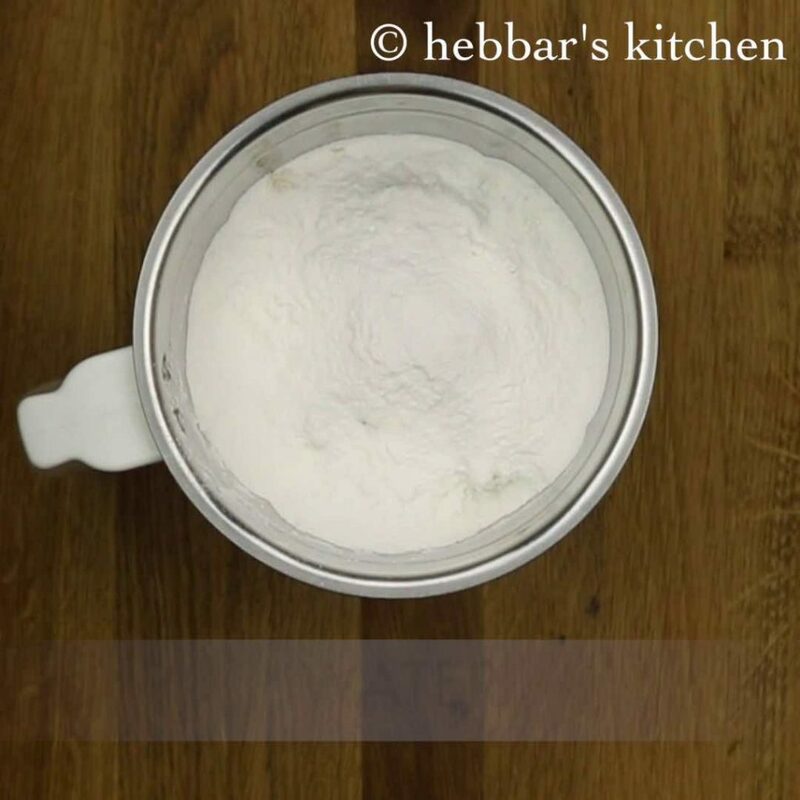 transfer the smooth paste to a large mixing bowl. add ¼ cup of curd. use normal or sour curd. now add salt to taste and baking soda. 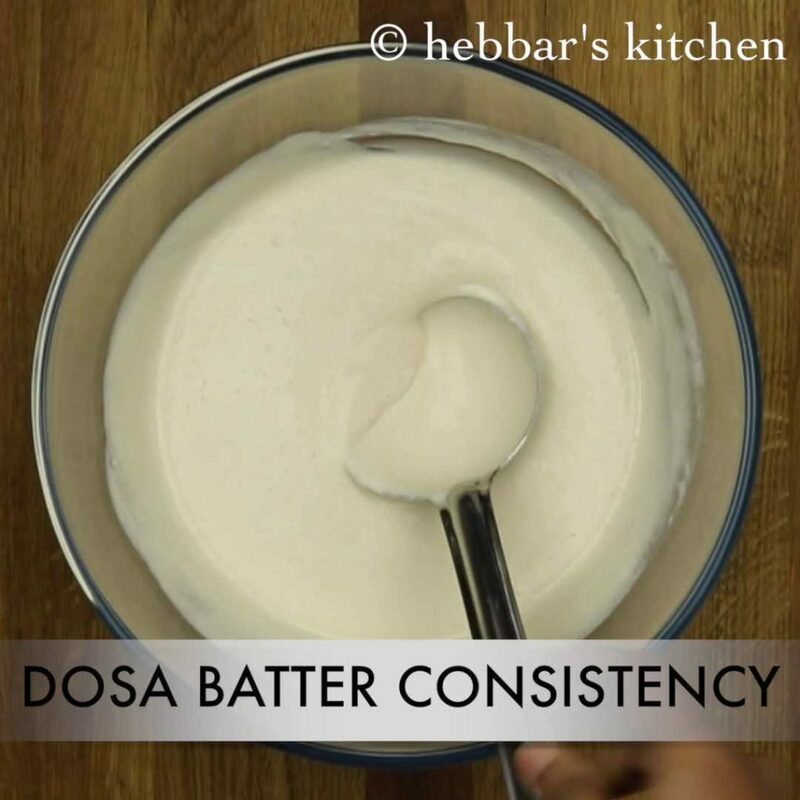 mix well and get to dosa batter consistency. add more water to adjust consistency. 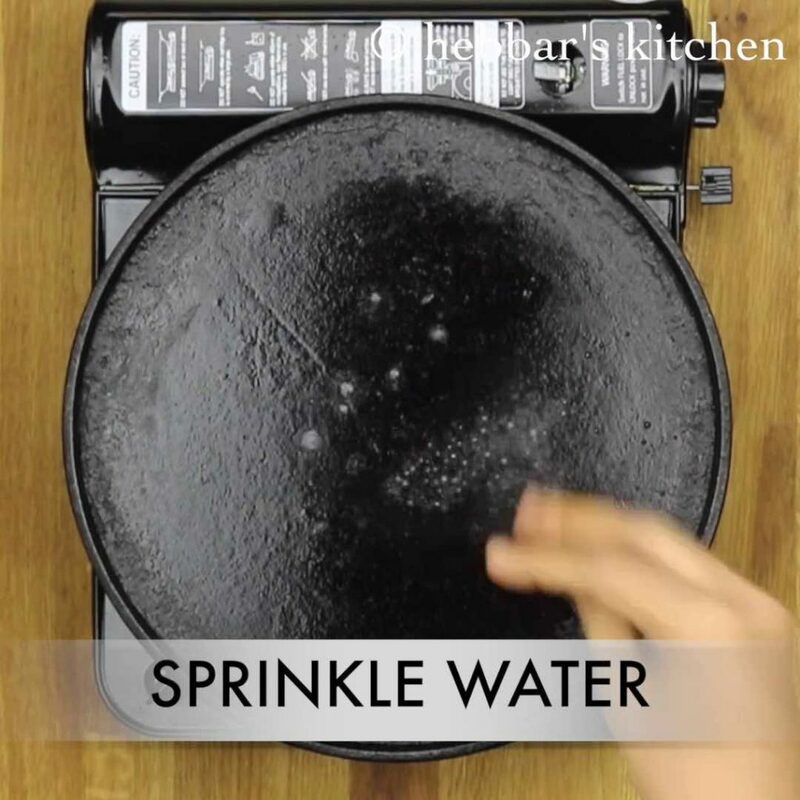 once the tawa is hot, smear some water over the tawa and wipe off with a tissue paper. pour a ladleful of batter and spread out in a circular motion. cook them covered for a minute or till it turns golden brown and crisp. firstly; in a blender take 1 cup of cooked rice, ½ cup wheat flour and 1 cup rice flour. add ½ – to 1 cup of water to blend smooth. 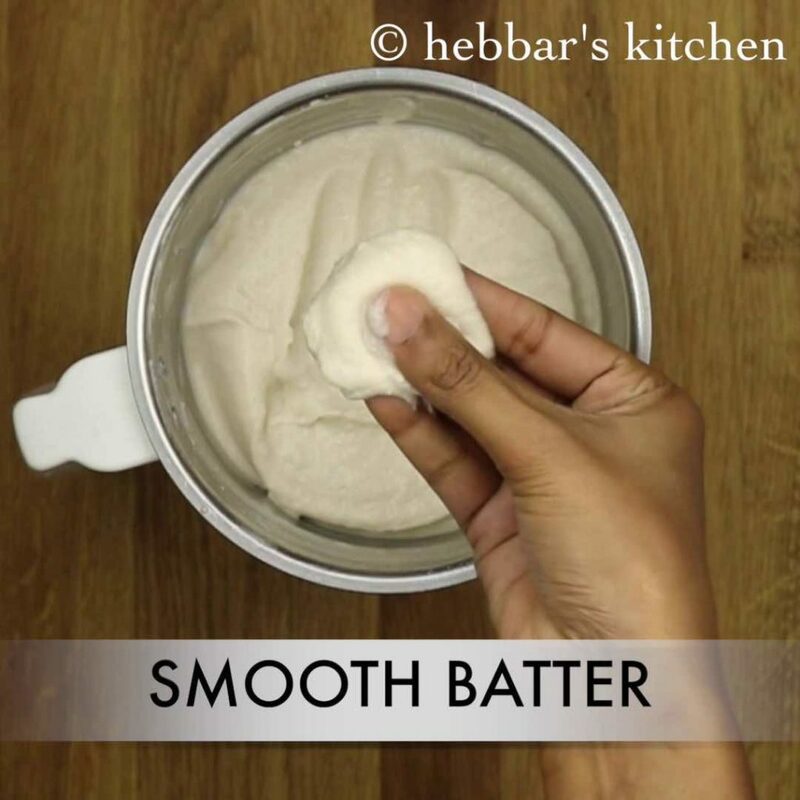 transfer the smooth paste to a large mixing bowl. and add ¼ cup of curd. 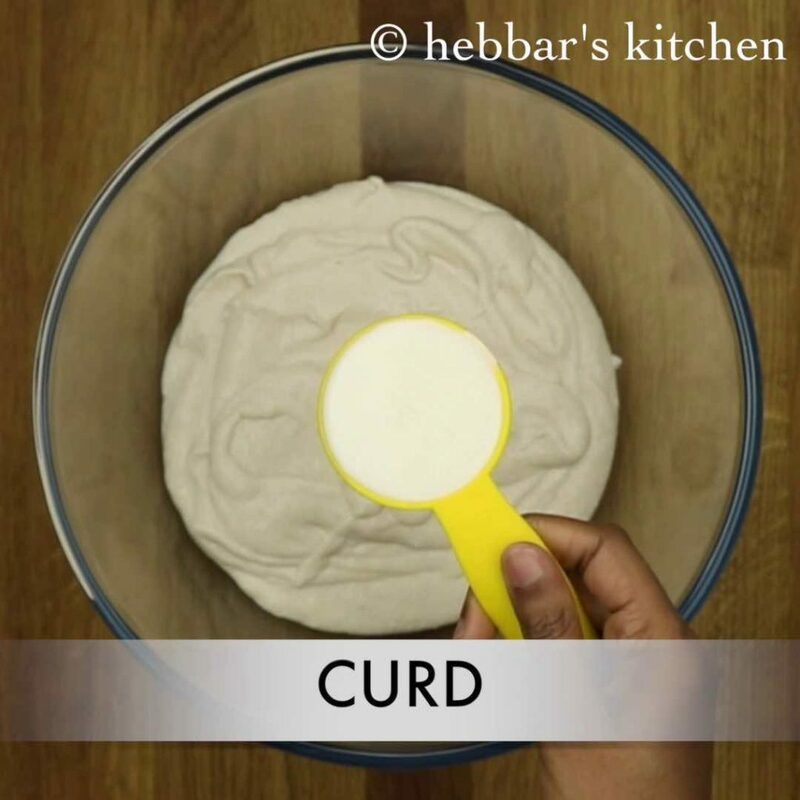 use normal or sour curd. 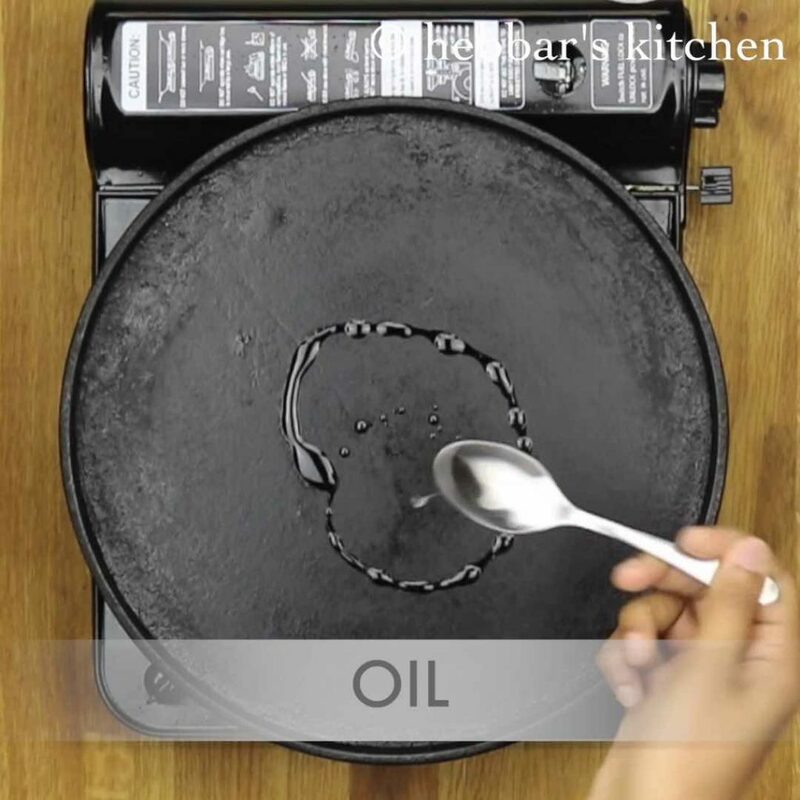 add some oil on top of the dosa. you can also use ghee as it enhances flavour. furthermore, cook them covered for a minute or till it turns golden brown and crisp. alternatively, you can add maida/plain flour to make it more crispy and white in colour. finally, using sour curd makes your dosa perfect. furthermore, to prepare uttapam pour dosa batter bit thick and add some toppings of onion and tomato. baking powder is optional. however, it helps to give nice texture. Hi! what would be the proportions in case of brown rice? Thank u so much for the easiest and delicious recipe. thanks for sharing this, this has ease the pain of start prepration 1 day before making dosas……. I tried it and turned out really well…. U are a talent the way u present it is get I tried it and came out well !!! Excellent recipe. 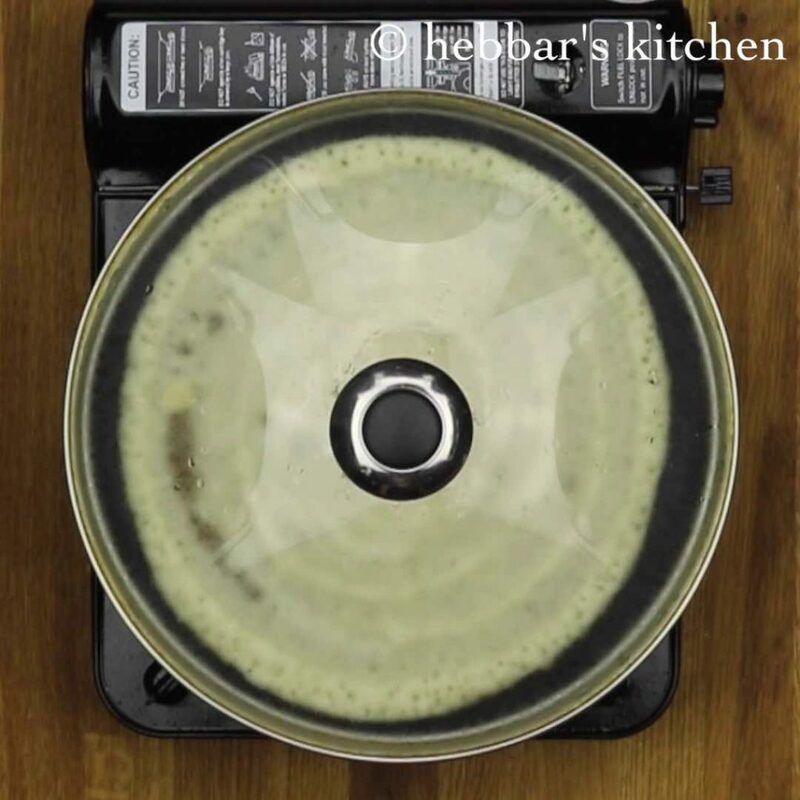 Quick and easy to follow..
Hi – What is the brand of dosa tava you are using in this video? Is it available in the US? what brand is the dosa tava and is it available in the US? its cast iron tawa..i got it from my native..
Great recipe. If curd is not available can I use greek yogurt ? Discovered this blog by chance on Fb….tried this recipe and it was too good..i have tried a few other recipes of yours and all were foolproof..love your videos..short and crisp..Thanks for sharing such awesome recipes. Continue to do what you are doing. What a delightful dosa! We enjoyed it 🙂 Thank you so much. I prepared this for my breakfast today, it came out really well. Thanks for the recipe. I like it, will prepare it more often. I tried your recipe. It came very nicely. hats off to your recipe. great…..
Can I use urad flour instead of wheat flour. Hi Rekha.. Can we prepare the batter without using baking soda.. ? Hi can I make the batter in nite n use in the morning? yes you should be able to make it. 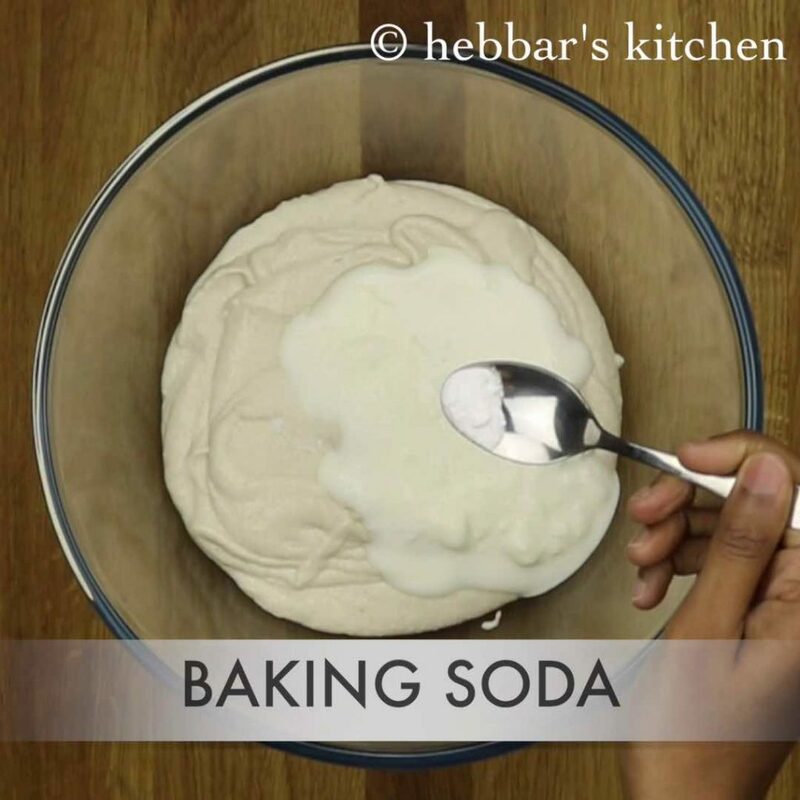 refrigerate it and add baking soda just before preparing the dosa. I was so impressed with the gobi manchurian recipe and decided to give this dosa a try , but it didnt come out as expected. tried these last night..it was a super hit. thank u so much for this super quick recipe. I love all your instant dosa and idli recipes. Tried 3 of them this week every morning and it turned out so good!! Your videos, recipe cards, pictures and variety of recipes available for busy moms is just AMAZING! You put in a lot of hardworking and we have it so easy just watching and cooking. I will surely try out all the other recipes apart from breakfast this summer . Is there a substitute for yoghurt? yes you can use lime/lemon juice with water. but i would recommend you to use curd/yogurt. I tried to make this recipe three different times. The first time was perfect, the other two times it came out not crispy at all. I used maida every time and followed the exact recipe. What went wrong? Please help! it should have worked… however, it again depends on quality of maida.. so next time try to reduce the amount of maida little and try..
Can we use Avalakki / Poha instead of rice floor ? Can we add in some Raagi Flour ? I am gonna try and update this message board. Adding Wheat flour makes it ‘chappattee-ish’. Mine came out good, but felt like a bit Chappati. I am not enthused by All purpose flour either. raagi flour can be added… however, i have not tried with avalakki…. you can add half half proportion of maida and wheat flour to reduce the chappattee-ish taste. 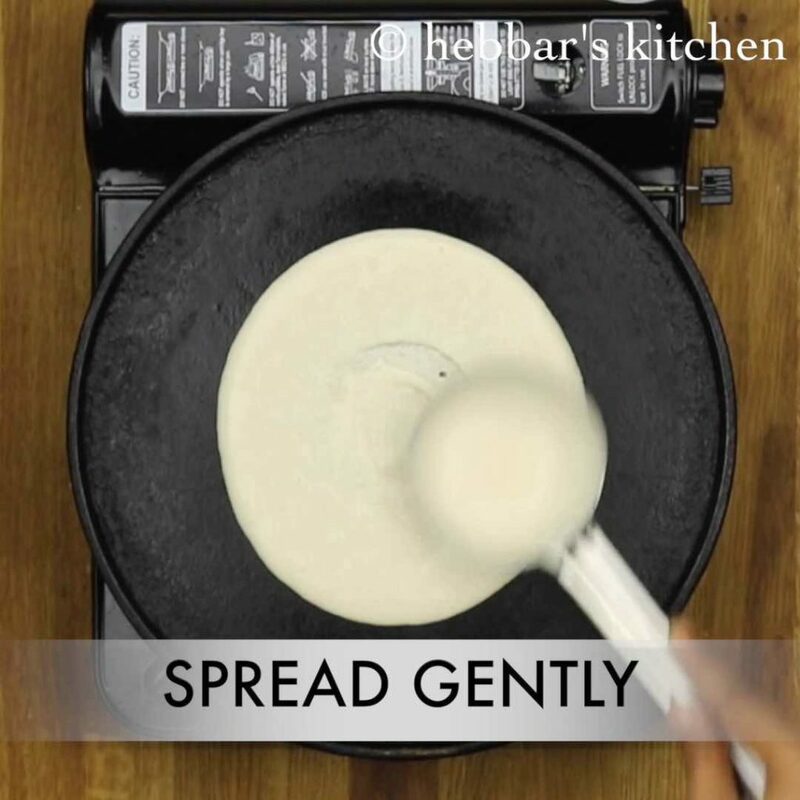 increase the amount of rice flour to make dosa more crisp..
how was your dosa batter consistency? if you still having issues, than try with all purpose flour of maida instead of wheat flour. 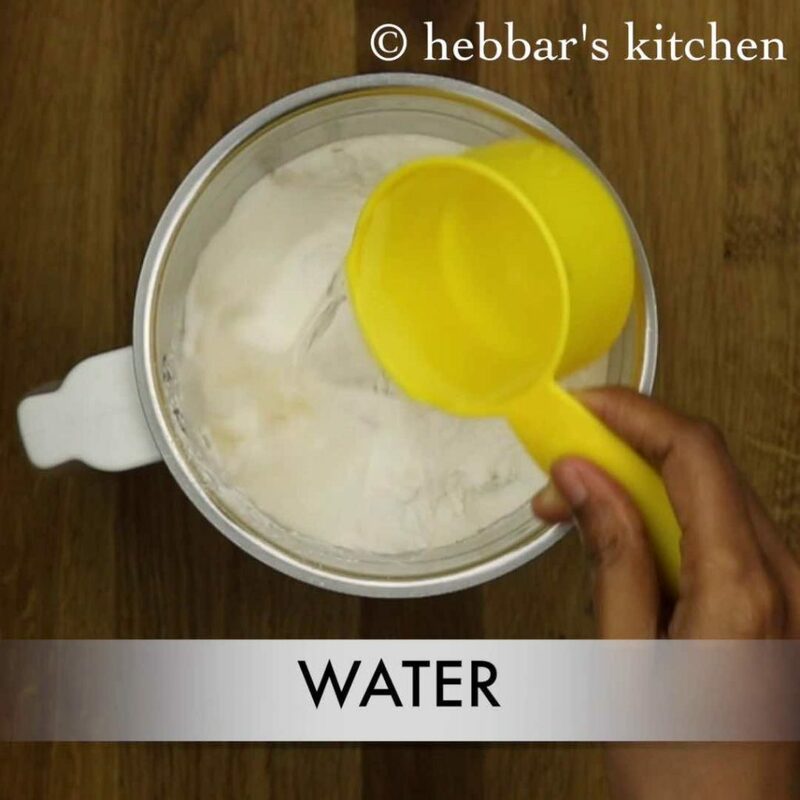 This is not official reply from Hebbar’s kitchen… I am just another enthusiast. I think your pan got too hot. Once you heat the pan, you may want to lower the flame and sprinkle some water on it to cool it down. Then spread the oil and then batter…Then u raise the flame/heat. I really like ur Recipes.. I m going to try them one after another.. Thanx a looooot for sharing such nice dishes..
Thats just superb !!! Will try today for sure Ardent regular follower of your recipes. Very nice recipe. I would like to know if i can store the prepared dosa batter ( with left over rice) in refrigerator for about 2 days? Will it be good? I do not recommend to store batter for more than a day.. as its made with cooked rice..
Really innovative thank you so much for such a lovely recipe , very delicious . I had just got this post thru one of my friend on FB yesterday & immediately today morning I prepared my kids my hubby and also my neighbors enjoyed eating . Highly appreciated Chef and now will try all your recipes one after another . Hi, I tried this today with a lot of leftover brown rice. It was delicious! Thank you. Thank you so much for a lovely collection of recipes. Love watching your cooking videos. For this recipe can I use whole wheat flour ie atta where you mention wheat flour? thanks a lot for those wonderful comments. Yes you can use whole wheat flour too. between maida or plain flour is very good option too. Your instant options are great. Can’t wait to try this recipe. Also love the quick videos and step by step pics all very handy and neatly explained. Quick question can we substitute ragi flour for rice flour? Thanks for sharing all your recipes!! By wheat flour.. do you mean maida or atta ? Your recipe is wonderful and very handy. thanks a lot. zarina. Lovely recipe. Will try it for sure! I am also interested in the ‘idli with cooked rice’ recipe. But the link in your blog isn’t working. Could you share the recipe please? i have already posted idli with cooked rice recipe. check my website. between, thanks a lot for those wonderful comments. i really appreciate it. Tried the dosas this morning. Came out very nice and crispy on the outside and spongy on the inside. Will be making it very often. Thank you for sharing. You are really creative and your family is lucky! I like checking out your recipes daily. hi…ur blog is really gud….i have one query…please can u let me know the substitute of rice flour in instant dosa preparation?? …i have boiled rice bu no rice flour…..how to make a rice flour at home??? ur reply will help me a lot….i will be grateful to u if u cooul help me out. thanks a lot for those wonderful comments. rice flour is must as it would give stiffness to your dosa. Can we use semolina instead of rice flour?? semolina gives a crispy texture to dosa. so it would be nice if you add it. But can we use as a substitute for rice flour?? rice flour gives the crispyness to the dosa. Hello I wanted to know what mixer you use IN all of the videos? I use USHA as mixer grinder and Magic bullet as blender for juice and milkshakes. I hope this helps you?